Ling, expecting rabid capitalists and rapacious salesmen, was startled at how friendly and civic-minded the Chengduans are. One of my favourite moments from that trip was on Day 1 when I was queuing in a restaurant in the People’s Park. It is one of those places where you first order and pay at the cashier and then find a table, sit down and wait for your food to arrive. As I am queuing in front of the cashier, a self-absorbed, middle-aged lady nonchalantly cuts in front of me, hoping that neither the five people behind me nor I notice. Ling and I roll our eyes in a “This is China” sort of way, and don’t think too much of it. Suddenly, the cashier, who through the corner of her eye has picked up on this chicanery, starts screaming at the lady. Shellshocked, the queue-cutter lowers her head and walks disgruntledly to the back of the line. “These tourists have no manners,” the cashier grumbles, in a half-observational, half-apologetic tone. At least once a day on the trip, I would hear a similar refrain, as the Chengdu ren, or people, strive to differentiate themselves from the allegedly uncivilised folk from elsewhere in China. The Shanghai ren come in for special ridicule. 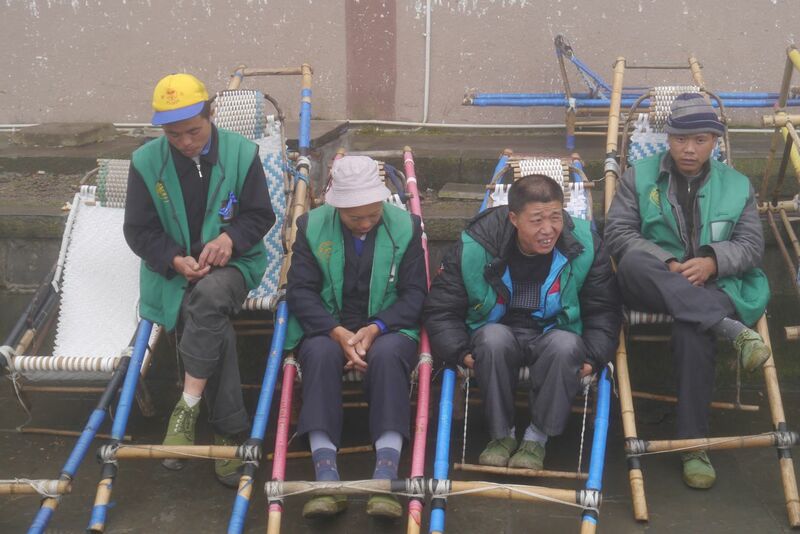 As with any laid-back culture in the world, there is a flipside to the Chengduan relaxation that rat-racers perennially mock. In Pondicherry, I bumped into a girl from Beijing and her Chengdu boyfriend. “Relaxed? They are not relaxed; they are lazy,” she insisted, as her lover smiled sheepishly, unaware that it had been a while since he last wore relationship pants. We are thus happy to leave the train, more so because old friend Jeffrey Chu is there in Chengdu to greet us. 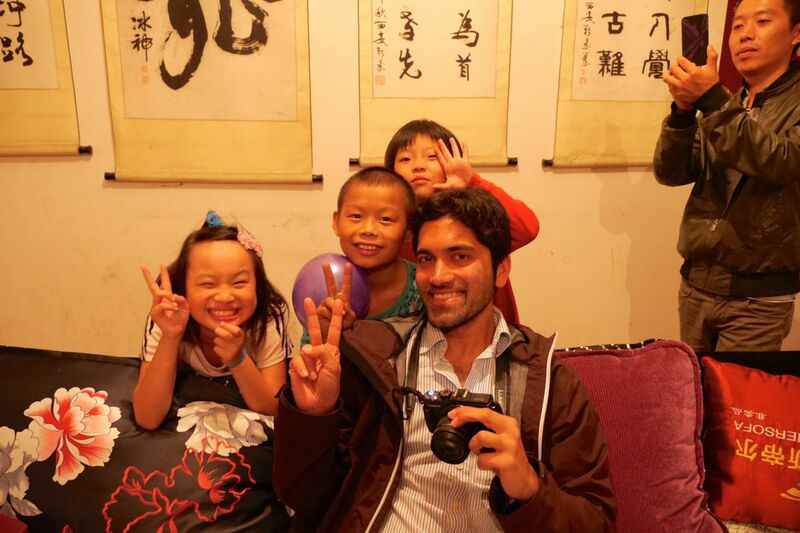 Jeffrey, who is based in Shanghai, will be following Kirit, the Delhi-based photographer, and I around mainland China. We spend the day catching up and eating a lot. KJ has only one night in Chengdu before he returns to Singapore. This being the eve of his birthday, at night we treat ourselves to nouveau Sichuanese cuisine. Incredible. It is about then that my Chengdu dream starts to unravel. The mala cuisine delivers a rude shock to my sensitive stomach, complacent after two weeks of mild, non-spicy Tibetan food. I visit the restaurant toilet—thank God it’s a nice restaurant—and then have to go two more times that night in the hotel room. In the morning, I sit uneasily in the hotel room, unable to fathom how I survived three months of India’s streetfood—what has traditionally proved my digestive undoing—only to fall prey my very first day in China, which, while certainly not God’s gift to hygiene, is a place where I’ve never had trouble. Indeed, when I visited last year with my wife, I was eating at least three solid mala meals everyday without any problem. Then KJ and Jeffrey return to the room to deliver the biggest shocker of the trip: I will have to fly back to Singapore with KJ that very same night. For the first time in my life, I buy a long-distance international airplane ticket—i.e. not a shuttle—on the very same day of travel. This concludes, on a very sour note, more than a month of diplomatic wrangling over my passage from India – Tibet – China. We were initially advised that when we reach Chengdu, all KJ and I have to do is “split” our China visa. That will allow KJ to return to Singapore and me to continue my China journey. However, in Chengdu, nobody at the “Exit and Entry Department”—an immigration bureau that all long-stay visitors to China will get accustomed to—wants to take responsibility for this. We try everything we can think of, including calling the Singapore consulate in Chengdu for help, as well as offering to pay a “special processing fee” to expedite the process, a gesture that seems to offend the sensibilities of the mild-mannered Chengduan lady officer. I am not sure if they are being extra careful with us because we have entered China via Tibet, or maybe because I haven’t shaved and look a bit like a Xinjiang ren, something I will hear repeatedly during the trip. 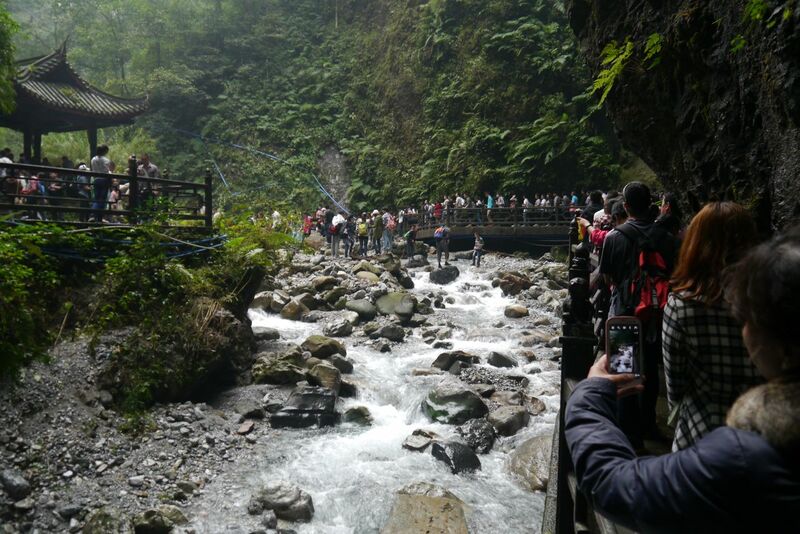 Perhaps our single biggest mistake, according to Jeffrey, who is well-versed in the intricacies and incentives of the Chinese bureaucracy, is that we do not have the right connections within the Exit and Entry Department. “I think it’s easier if you just fly to Singapore and come back,” says the lady officer innocently, as if the seven-hundred dollar, six-thousand kilometre roundtrip is a gondola ride around Venice. And so instead of four days of downtime in one of China’s most relaxing cities, I instead endure four days of loo-time, including an absolutely tortuous five-hour flight back to Singapore. 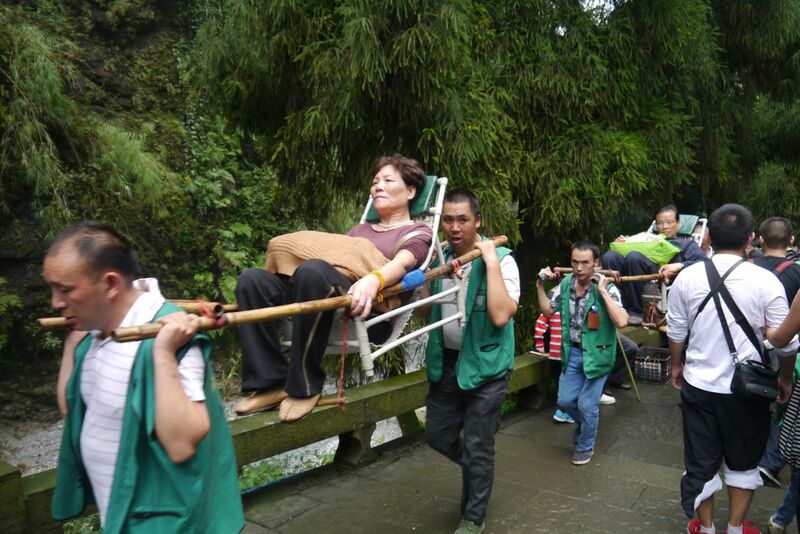 I return to Chengdu, countless charcoal pills and lactogards later, well rested and raring to go. The next morning, Jeffrey, Kirit and I board a bus for nearby Emei shan, literally Emei mountain, the highest of the four sacred Buddhist mountains in China, and birthplace of Emei wushu (kungfu), the first Chinese martial art on our list. 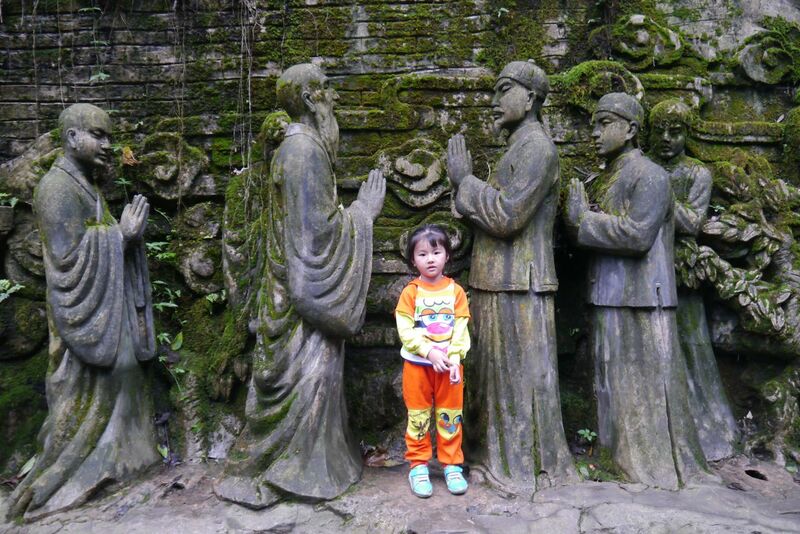 Jeffrey has arranged an appointment with a supposedly well-connected monk in Dafo temple, Emei’s largest. 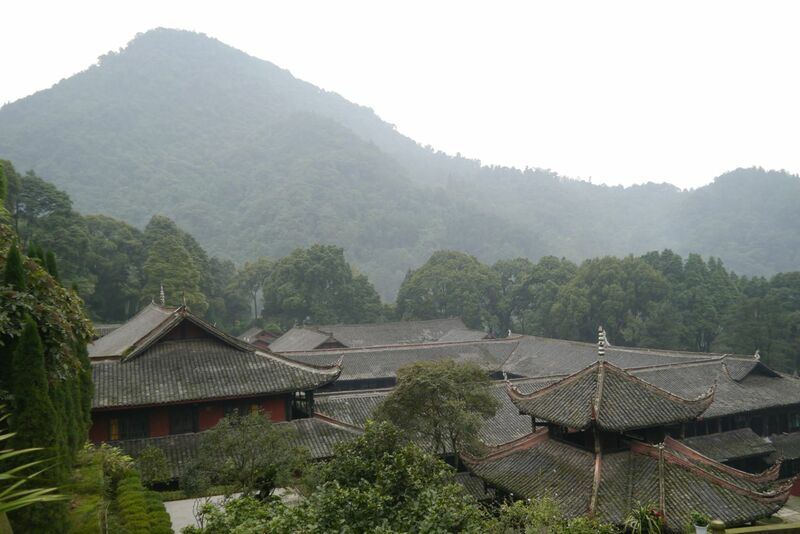 We go expecting to see martial monks in meditation at a rustic temple on the foothills of the mountain. It is soon apparent that we are the victims of ignorant romanticism. The Dafo temple is smack in the middle of Emei city, surrounded by wide boulevards, several kilometres away from the mountain itself. A short walk from the temple leads to a busy food promenade, where restaurants big and small vie for attention with salacious KTV joints. The temple itself, in a sprawling complex replete with a man-made lake, tourist footpaths, well-apportioned dormitory rooms and a newly-built-to-look-old shopping street—a now ubiquitous adornment to China’s cultural tourist spots—is not so much a reminder of the country’s tradition as a testament to its brash, relentless development. Having just come from neighbouring Tibet, where many temples have through turbulent times somehow retained their old-world charm, Dafo is a bit of a shock, albeit impressive in its own way. We walk for fifteen minutes, passing a series of open plazas and prayer halls, the air periodically filled with the smell of burning incense and the murmurs of chanting monks, before reaching the office of Xin Cheng, one of the senior monks, who awaits us with Wu Xin Liang, a wushu shifu (guru, master). After exchanging pleasantries, Mr Xin spends about thirty minutes sussing us out, first listening to me describe my project and then asking a series of follow-up questions. Moderately satisfied, he then takes some of my questions. In what will be the first of many conversational dances I join in China, we chat for three hours, never really able to explore any one topic in the linear fashion my mind defaults to, instead circling around hesitantly, Mr Xin often preferring the ambiguity of the unsaid to the irretrievable certainties of the spoken. 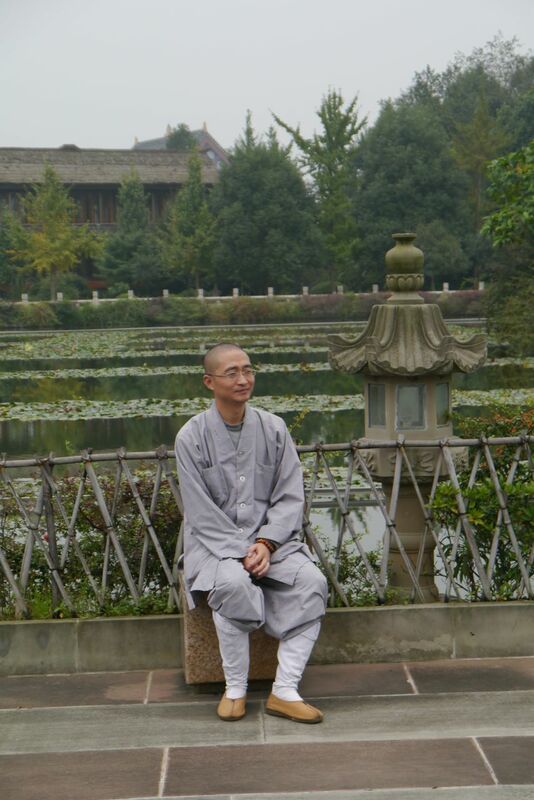 Mr Xin is untrained in wushu, but is the main monk liaison for the Emei Wushu Alliance, a body that sits directly under the religious institution. 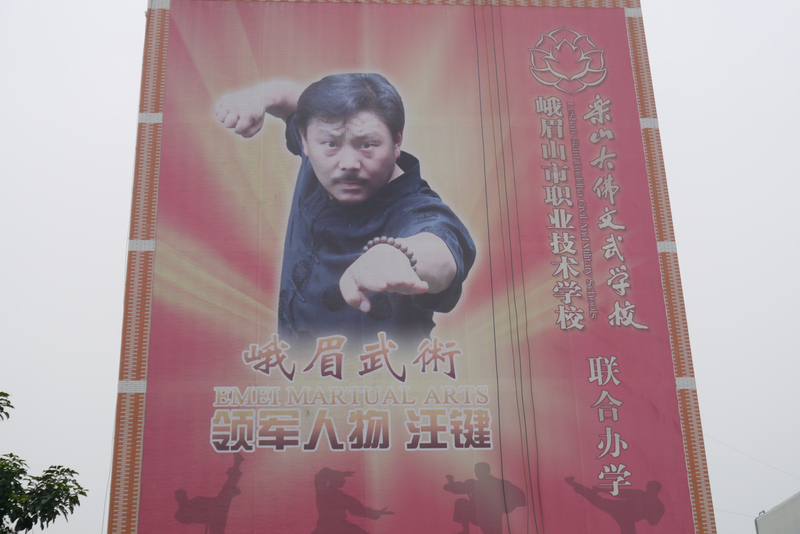 Although his knowledge of wushu is limited, he provides us with a background of the symbiotic relationship between the Buddhist temple and the martial arts organisation, one that has grown closer over the past ten years. The wealthy temple has funded the growth and outreach of Emei Wushu, as it seeks to establish itself against the better-known Shaolin and Wudang styles. 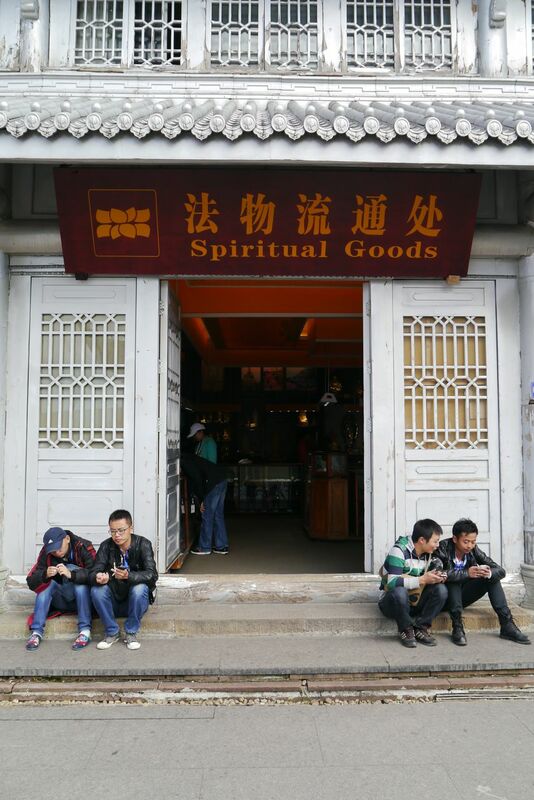 As a result, the temple’s prominence and status in Sichuanese society has grown. 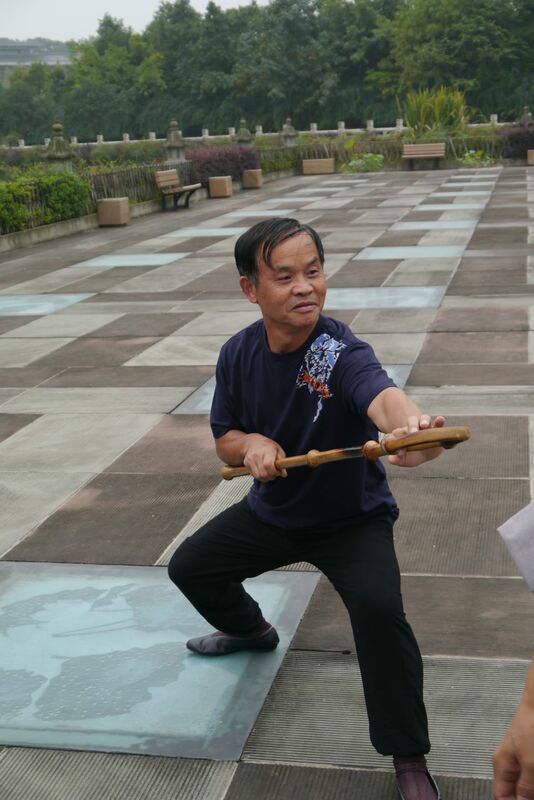 Mr Wu slowly emerges from his shell to share details about Emei wushu and his life. He denies any link between Emei wushu and other martial arts. 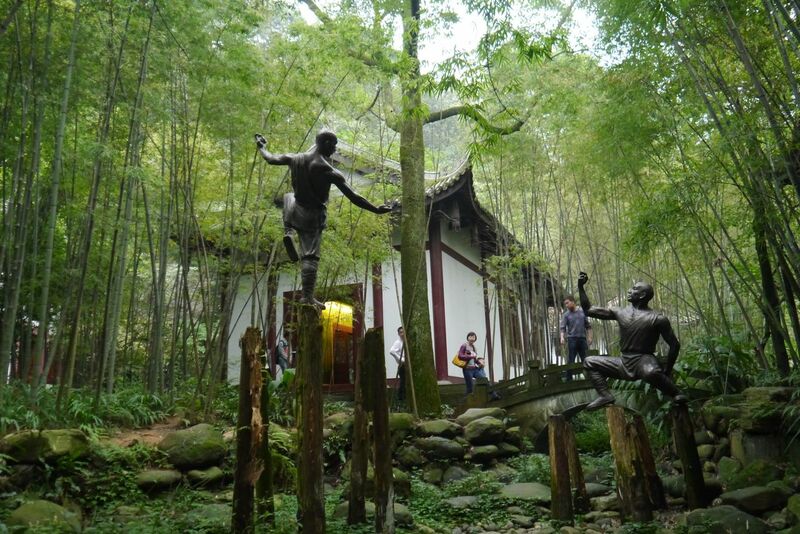 Emei wushu, he says, is an indigenous art form that originated on the slopes of Emei shan. Apparently there is no link to Shaolin, let alone India. “It’s three to four thousand years old,” he says, placing it well before kalarippayattu, the Kerala martial arts, which is around 2,500 years old (see Letter from India: Kalarippayattu). We listen, unconvinced. He also decides to conduct an impromptu demonstration on me: in the spirit of all great martial artists, he asks me to attack him and shows how easily he can respond and paralyse me. 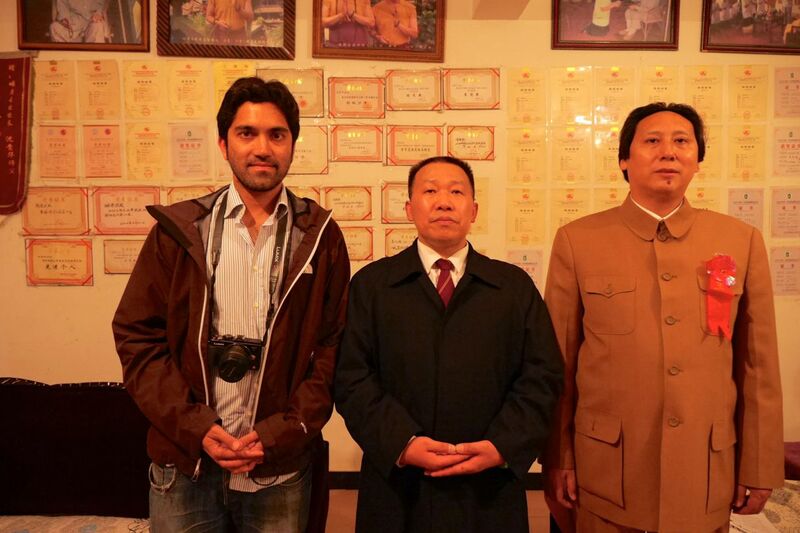 In India, I had to beg a reluctant guru in Manipur to use me as a dummy. 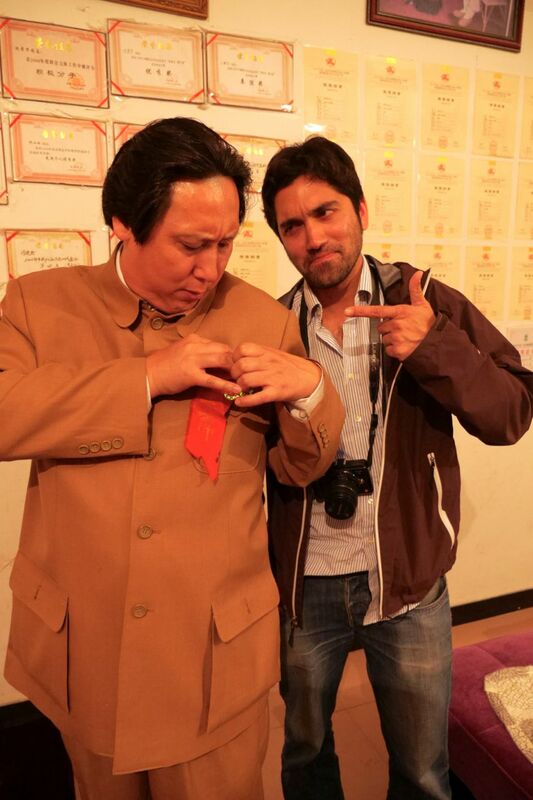 In China, Mr Wu is the first of many to gleefully watch my body contort as I try valiantly to suppress screams. 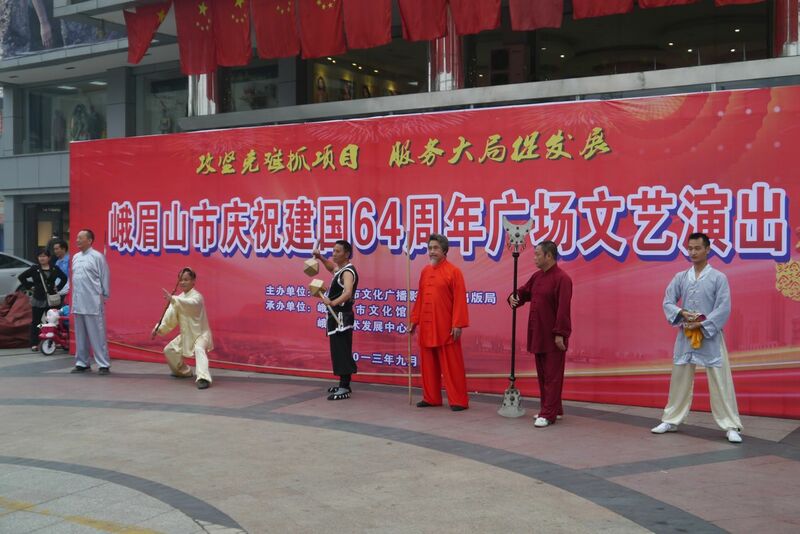 Two days later, we meet the so-called Seven Grand Masters of Emei Wushu, who are performing (pictured) in a public square as part of China’s October 1st national day celebrations, a weeklong holiday that will see tourists from around China visit Emei. The grand masters are all elderly men—the youngest is 50—each with his own distinctive weapon and martial arts school. They are excited to see us, and keep repeating two aphorisms that we will hear over and over again across China: first that it is “Yuen fen”, fate, that has brought us together; and second, quoting Confucius, “What a joy it is to have friends come from far away”. 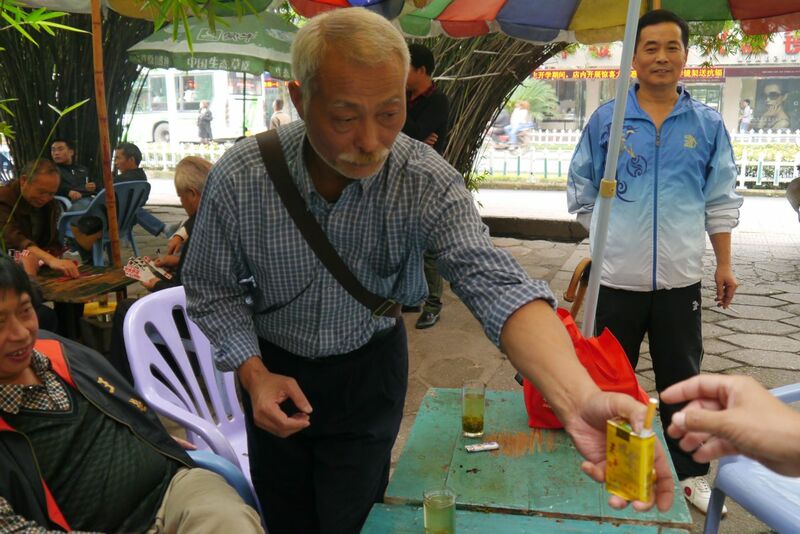 After their demonstration, they invite us for tea at a typical Sichuanese alfresco tea-house. We sit on wooden chairs, between clumps of manicured bamboo, as lidded ceramic cups are arranged on the table and flasks of boiling water placed at our feet. More than ever, Kirit and I feel like curiosities, as passer-byes stare at the two Indian men interviewing the group of wushu warriors, some still in martial gear. They keep topping up our tea cups and offering us cigarettes. I always enjoy the odd cigarette but one needs lungs of steel for a session with Chinese smokers, perhaps some 99% of the male population. The different warriors take pride in offering us their own brand of cigarettes and observing our reactions as we smoke. Nobody cares if you already have a cigarette in your hand; if somebody offers you one, you take it and place it on the table next to your tea cup. There are times on this trip when we have a queue of two cigarettes in front of us, gifts waiting to be smoked, as our respiratory systems scream in protest. And therein lies another difference between most Indian martial arts gurus we met and their Chinese shifu counterparts. While the Indians seem to live fairly austere lives, almost every Chinese shifu we meet smokes. Heavily. Moreover, as we are to discover to our great delight, a fair number of them drink. After thirty minutes at the tea shop, we all head to a nearby restaurant for lunch. 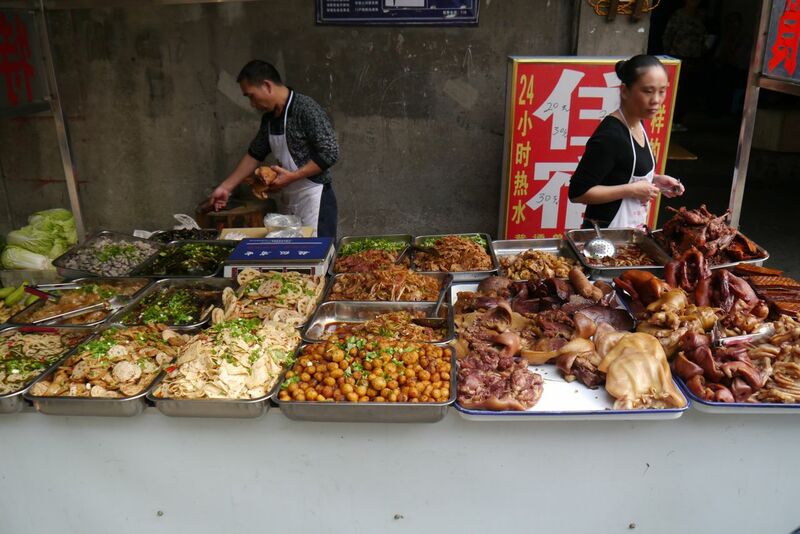 There is as much salivating over the pig organs soup, an Emei specialty, as there is the sweet rice wine. Again our cups are refilled as soon as they touch the table. By discussing smoking and drinking, I do not mean to paint a picture of portly, unhealthy shifus. In fact, if appearances count for anything, all the Chinese shifus are ostensibly in much better physical shape than, say, the kalarippayattu gurus, whose pot-bellies suggest an addiction to thick Kerala rice and ghee-laden sweets. Nevertheless, the Chinese seem to have a more relaxed attitude towards intoxicants. As we bond over food and drink that afternoon, we learn several things about wushu and China. 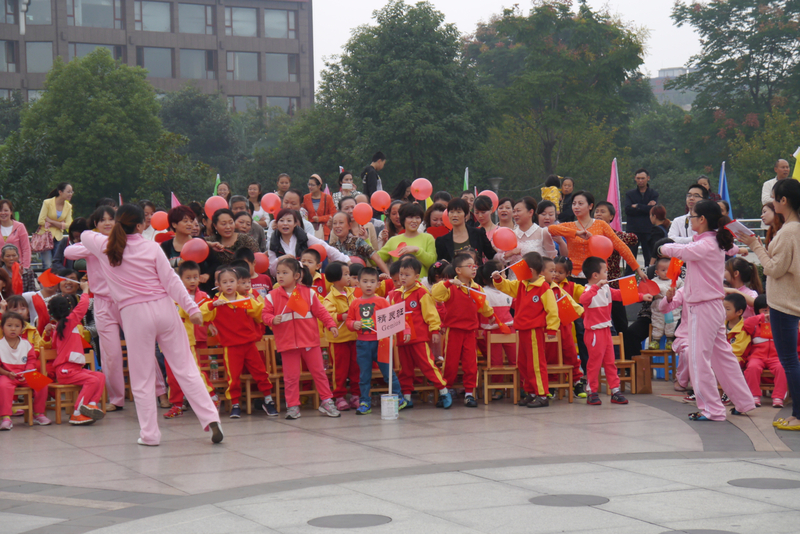 While Shaolin wushu is globally renowned, there are indeed many different styles in China. Moreover, in terms of origins, local terroir seems to have been an important determinant. For instance, Emei wushu specialises in close combat because it evolved in Emei, with its mountainous terrain, valleys and rivers, where practitioners did not have much space for movement. By contrast, Shaolin wushu often showcases warriors running at great speed or flying through the air, because it emerged in Henan, with its great, wide open plains. 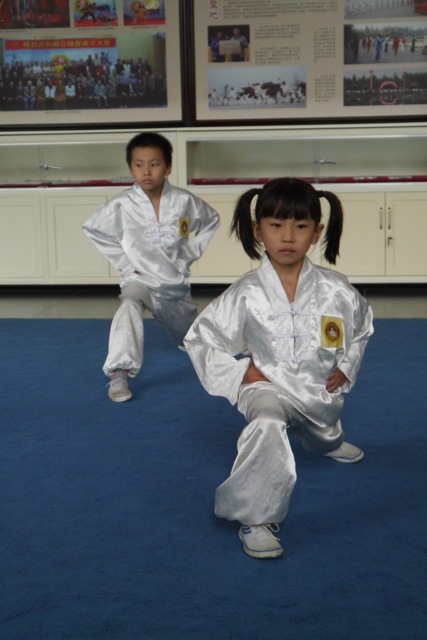 Additionally, Emei wushu is well suited to Sichuanese people, who are shorter and smaller-sized than the Northerners. Emei wushu emphasises agile, nimble and swift movements, in theory enabling one to defeat bigger opponents. Meanwhile, the movie industry is both admired and derided. The Emei warriors all recognise film’s role in popularising Shaolin wushu and, with the spate of recent Ip Man films, Wing Chung. They are trying their best to promote Emei wushu in movies. At the same time, they cringe at the way the medium exaggerates wushu combat, reducing a noble, meditative art form to stylised fisticuffs. Popular imagination globally has been so indelibly shaped by these silver screen superlatives that the reality of martial arts today can appear sedentary. 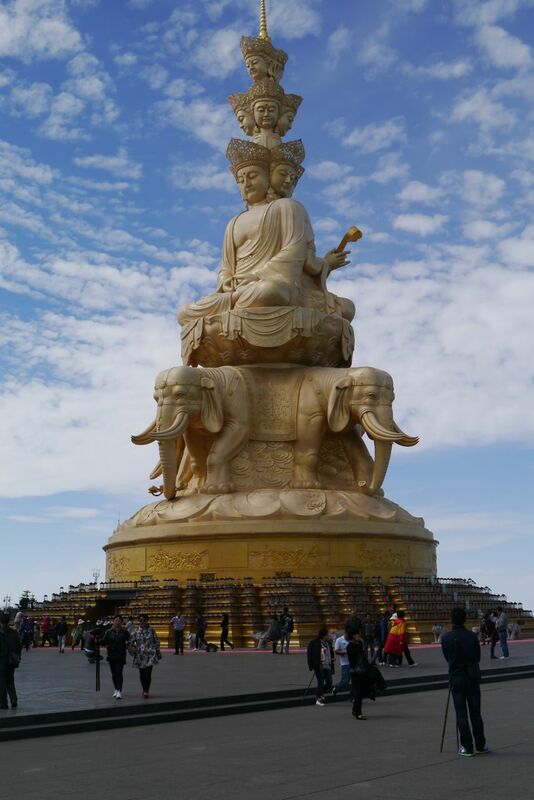 When I am in Emei, I post some photographs on Facebook of Li Bao Ming, one of the seven heroes, whose unassuming style charms Jeffrey, Kirit and I. Upon seeing the photo, several friends in Singapore express disappointment at his apparent ordinariness. We also stumble into a conversation about China’s Cultural Revolution, the dark period in the 1960s-70s when waves of young, possessed Red Guards sought to free the country of its supposedly backward traditions, effectively performing a cultural lobotomy on an entire generation of Chinese. 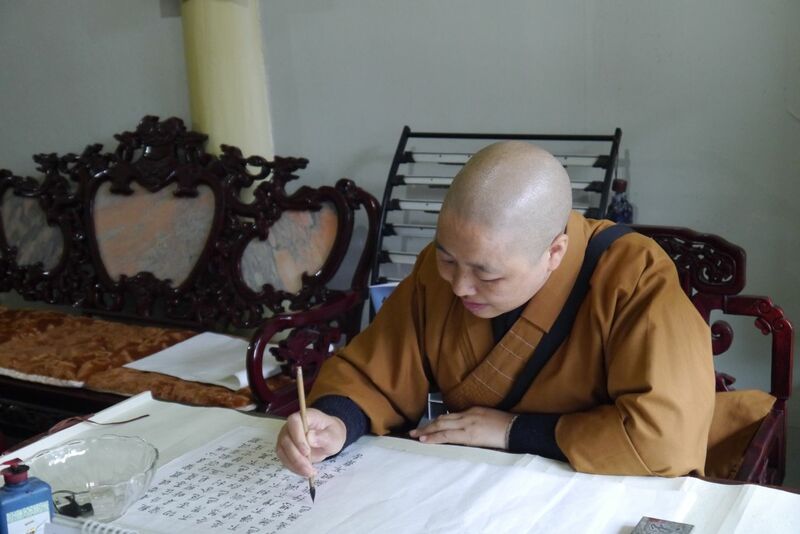 Several of the Emei Grand Masters, as so-called “educated youths”, were sent far away from Sichuan to agricultural labour camps. 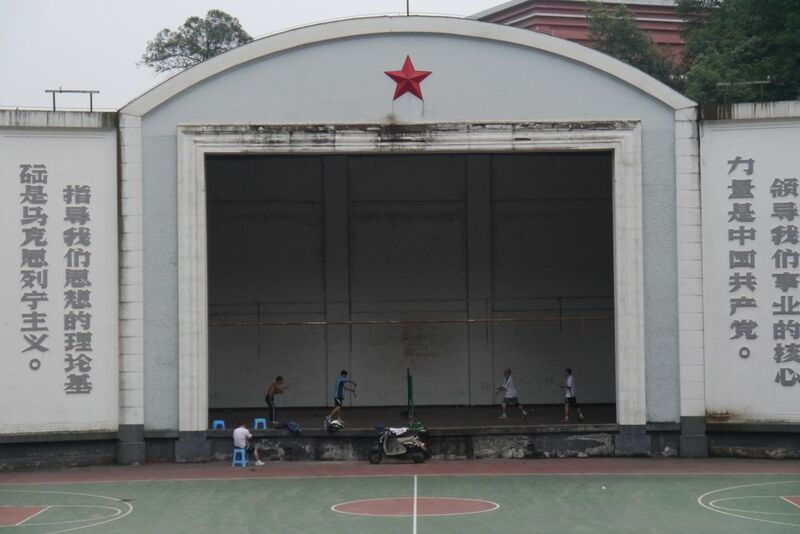 Given that wushu was also banned as a backward art form, they had to practise underground. Not all were able to. Before entering China, I was unsure how quickly we’d be able to launch into deeper discussions about the Cultural Revolution and other potentially prickly subjects. 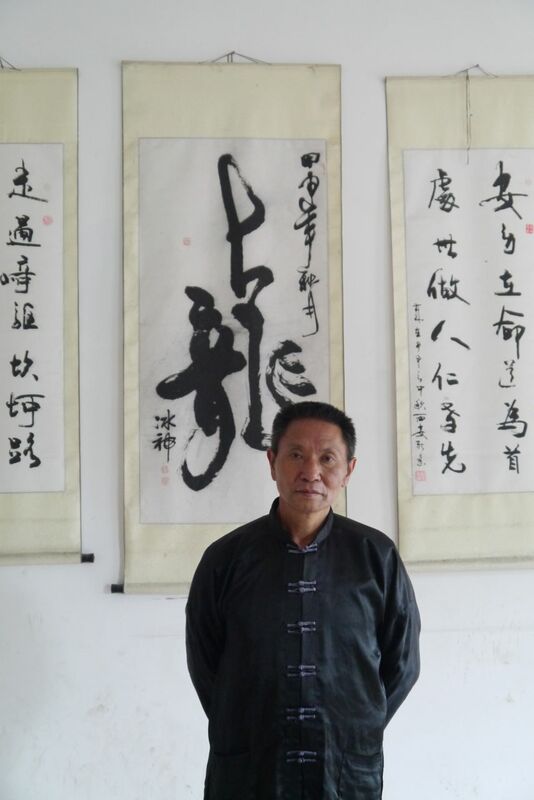 “I don’t think we should talk about these things,” one of the older martial artists exclaims, as Zhang Lin, one of the senior most of the Emei warriors, tells us about the destruction of a nearby temple during the Cultural Revolution. Indeed, I have been surprised by how openly the Cultural Revolution’s damage is discussed around China, particularly in Tibet. By contrast, many of the people I’ve met are slightly more cagey when it comes to their more recent grievances with the government. 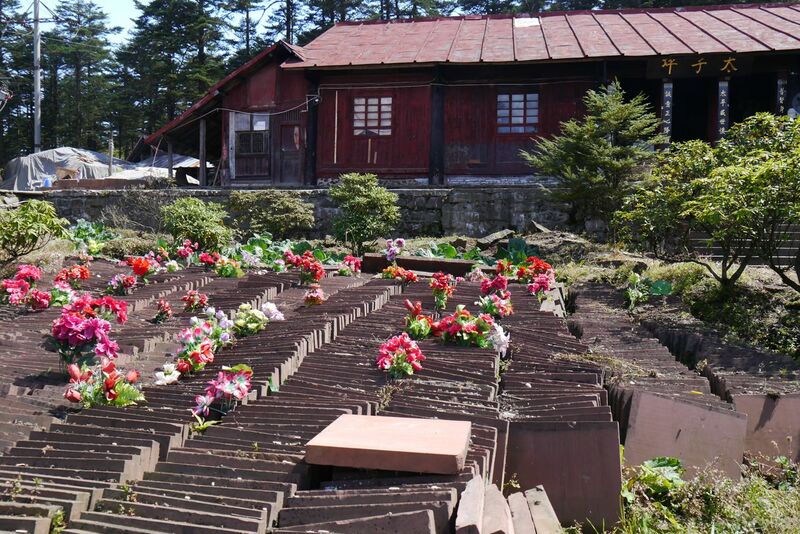 When one considers the destruction in Emei during the Cultural Revolution—Buddhist temples defaced, martial arts suppressed—it becomes clearer why Deng Xiaoping, the premier who liberalised China’s economy from 1978, setting the country on its current path towards wealth and prosperity, is held in such high regard here. This is also surely because Mr Deng is Sichuanese. He is the diminutive hero, the little man who defeated opponents at home and abroad, while still exhibiting glints of folksy charm, as when he spontaneously wore a cowboy hat at a Texan rodeo on his first official trip as premier to the US. His name is spoken reverentially by everybody we meet in Sichuan; as is the “kai fang”, or openness, that he ushered in, which sparked the revival of Chinese wushu, and the country at large. 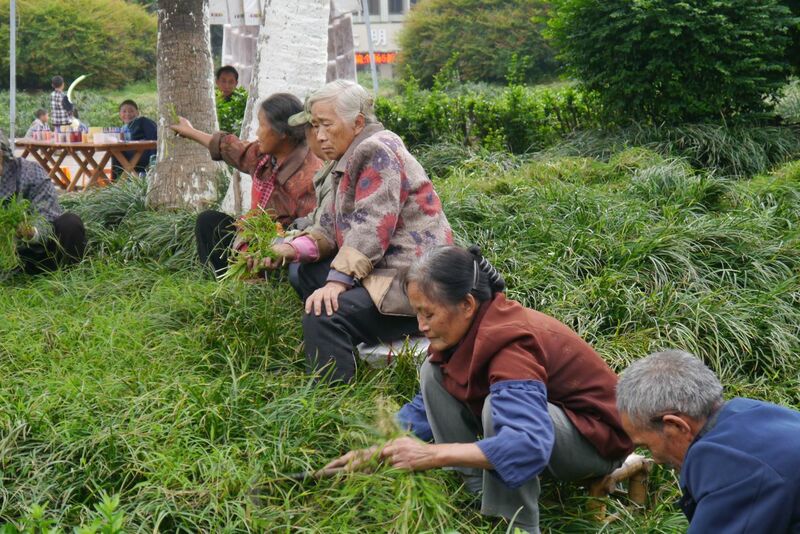 It surprises us that none of the Emei warriors have passed on their skills to their children. 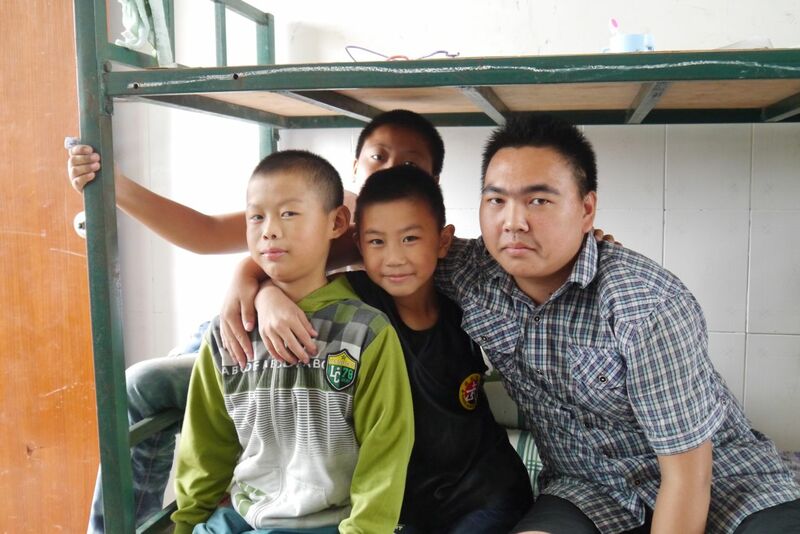 “Well, since we have only one child, we are very protective of them,” Mr Zhang explains. “We don’t want to see them involved in activities where they might get hurt.” Instead, some of them choose to work with disaffected youth. 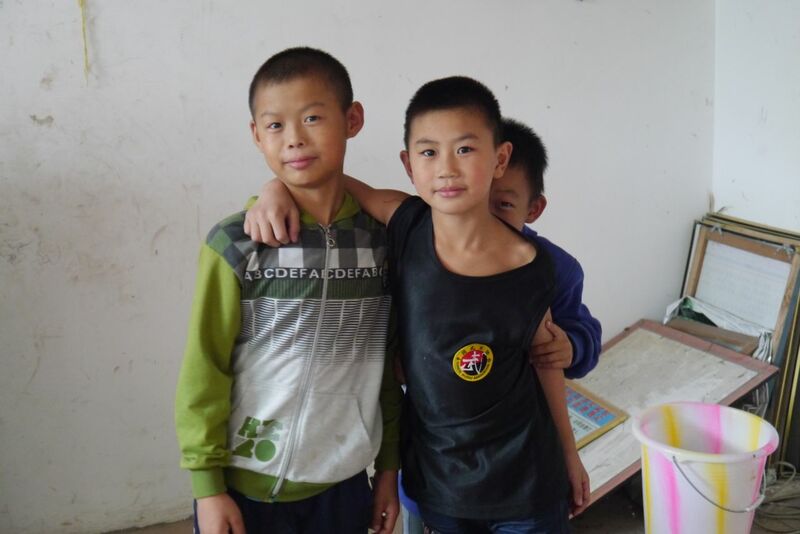 A few years ago, Sheng Gui Hua opened a martial arts boarding school, which attracts students primarily from around Sichuan, but also other parts of China. We learn that many of the kids there have been sent by parents who feel they “cannot control them”. Demography, one-child policies and little emperors are all issues I hope to look at more closely in the book. 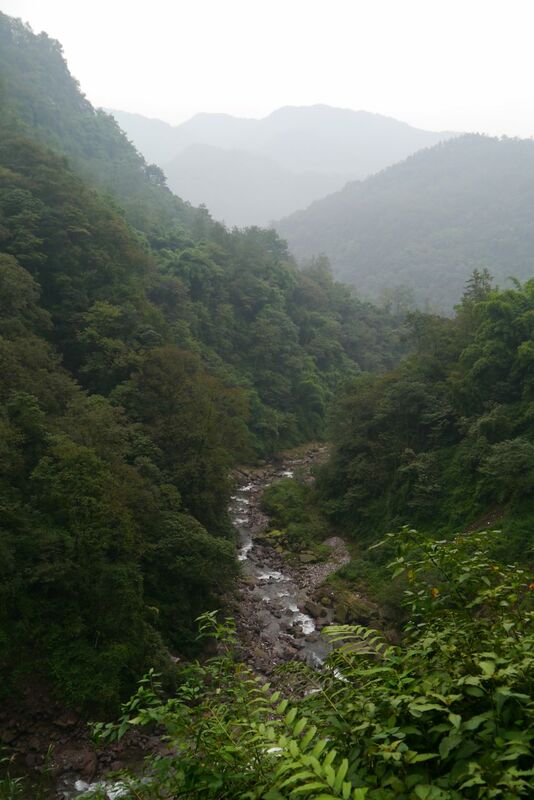 Jeffrey, Kirit and I end up staying in Emei for almost a week, as long as I spent in Manipur, another place I fell in love with on this long, seven-month journey (see Last letter from India: Manipur). We are enchanted by Sichuanese hospitality as well as the place’s natural beauty. 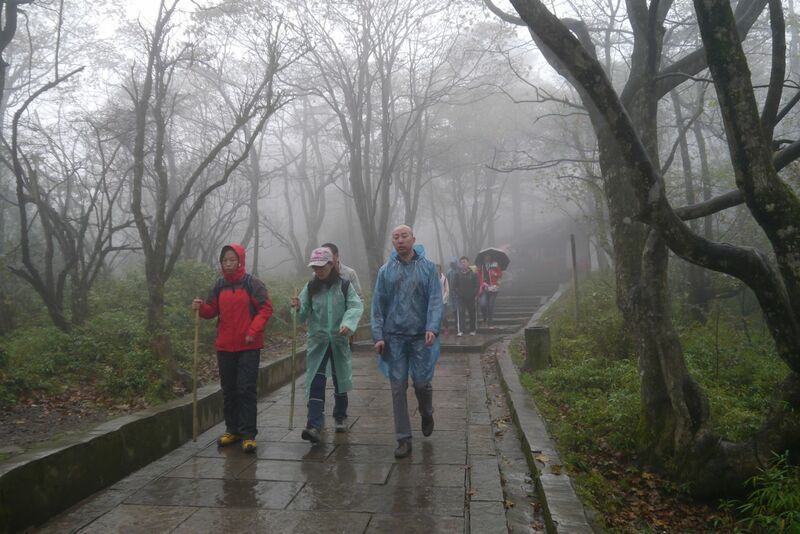 We spend two days hiking around the majestic, mysterious Emei shan: one to the heavily-touristed but surreal jinding, or summit (pictured), another to the less-travelled “back” of the mountain. Along the way we pass many temples of varying preservation and prominence. Sadly, not a single one retains any vestige of wushu. Ah, it’s all about perspectives. As I’m quickly realising, there are several billion floating around this vast, diverse country. As you would have read above, for the moment I have decided to term every Chinese martial art as “wushu”. Hence, Shaolin wushu, rather than the more recognisable Shaolin kungfu. On the kungfu vs wushu debate, I have heard varying explanations from different shifus. Some insist that there is no difference between the terms. 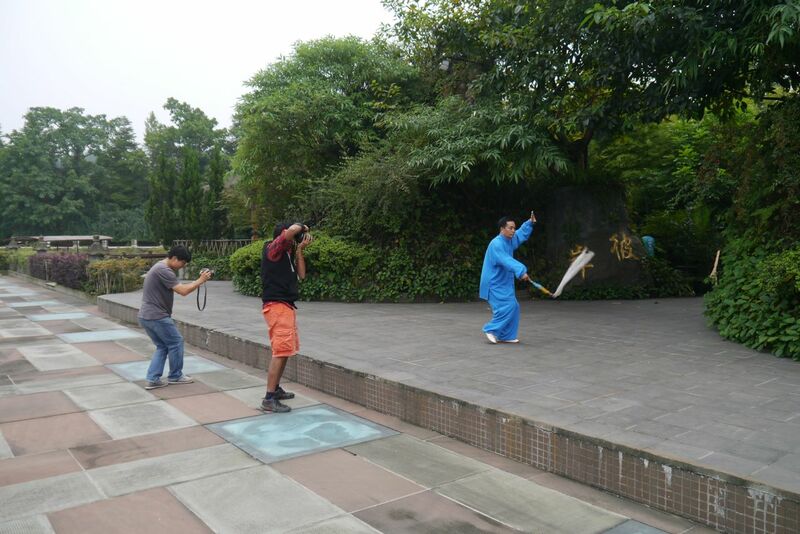 Others say that wushu is an umbrella term for different kungfu styles. Some say kungfu refers to the ancient martial art while wushu refers to the modern sporting form. For the time being, I will use wushu as I have found it to be much more popular. The word wu-shu (武术) itself is interesting, because it very roughly translates as “stop weapon”. 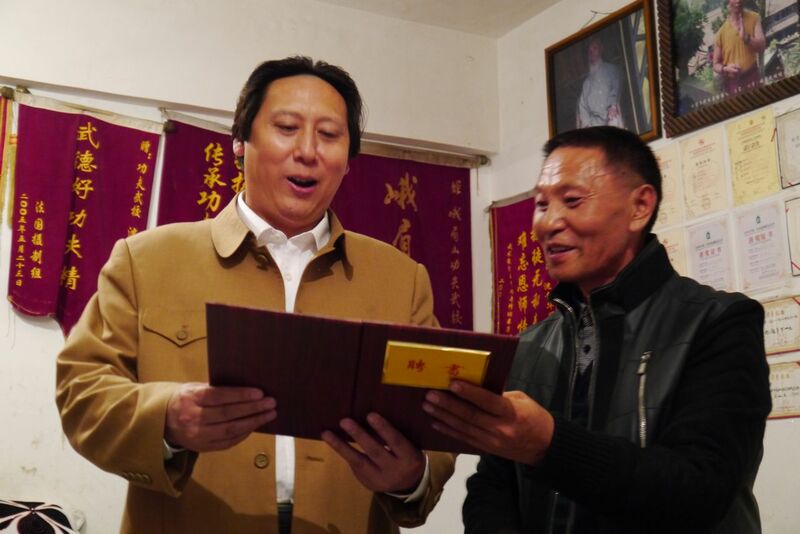 Shortly after we meet, Sheng Gui Hua, one of the seven Emei grand masters, invites us to his son’s wedding reception, to be held in his martial arts boarding school four days later. 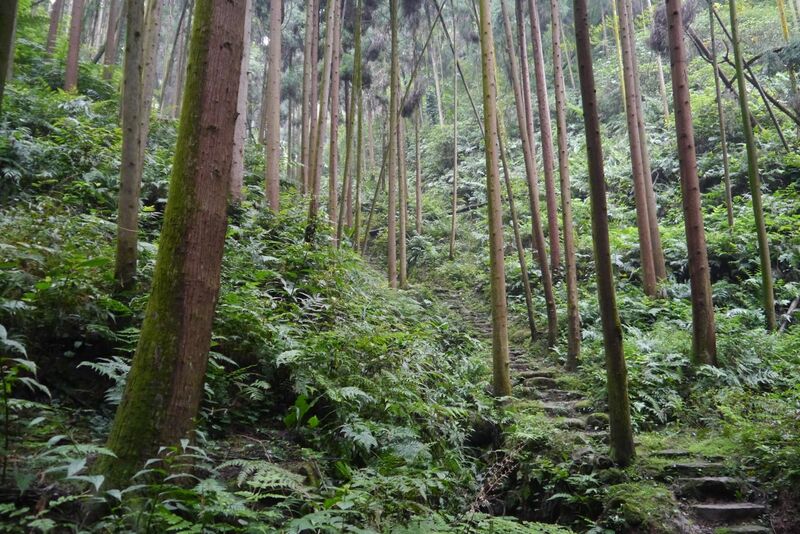 Even though Jeffrey and I are extremely tired after a day of hiking around Emei, we push ourselves to make the thirty-minute journey at around eight in the evening. We are treated to an evening of decadent food, endless rice wine, impressive fireworks, martial arts stories and general tomfoolery. 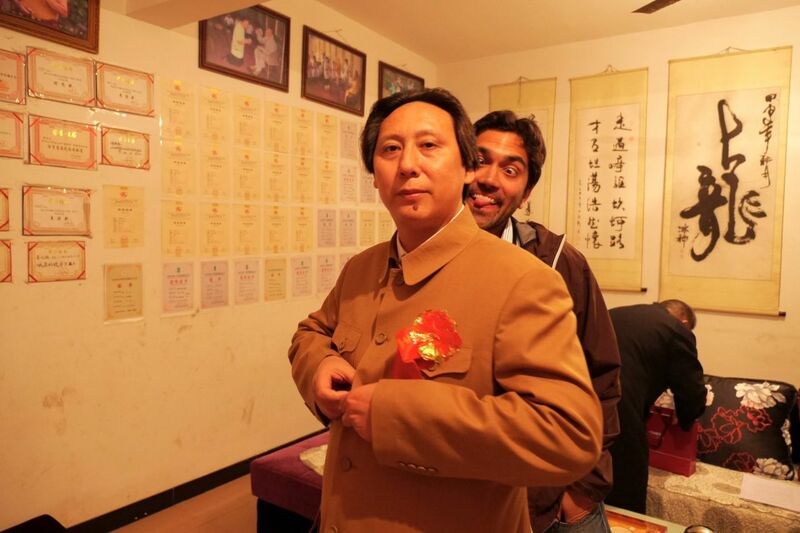 Mao’s image has been immortalised, spawning a cottage industry of Mao lookalikes. We meet one of them at the wedding, a friendly chap who happens to be a martial artist. He invites us to take photos with him. 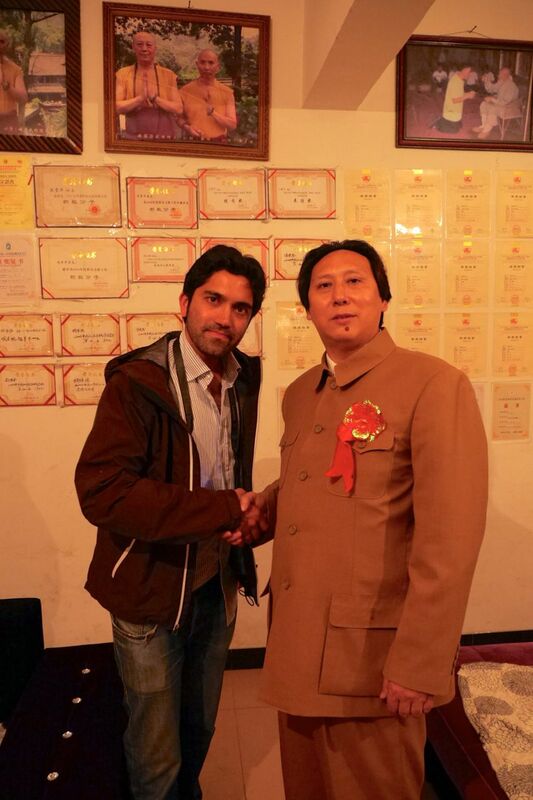 Given his confusing legacy, how exactly should one pose with Mao? Unsure, I respond with reverence and ridicule. I hope that’s OK.
No, that’s not Deng Xiaoping. 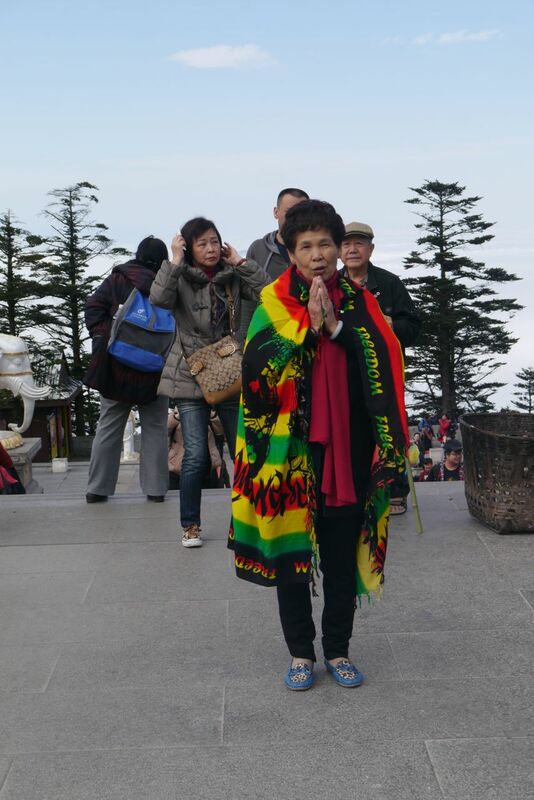 Wanfoding, the Ten Thousand Buddha summit on Emei Mt. 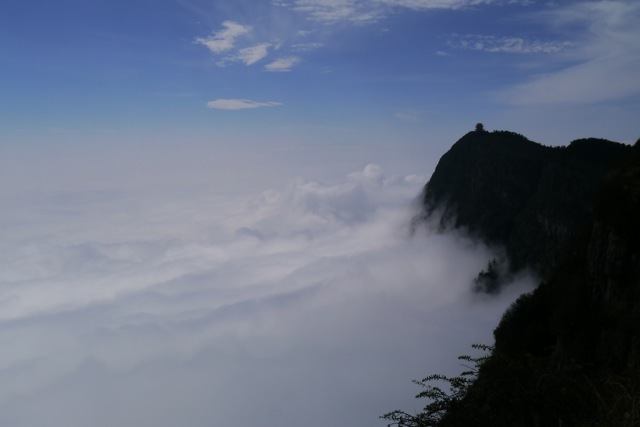 Sea of clouds brushes up the cliff face.